Watersheds are important ecologically and for human communities, and forests have an important role in mitigating pollution, erosion, and flooding. An analysis of data collected between 2001 and 2014 found high rates of forest loss in many of the world’s 230 watersheds, averaging 6 percent tree cover loss globally. Some areas have been particularly hard-hit, with Sumatra losing up to 22 percent of its tree cover in 14 years. The world’s 230 watersheds have critical functions in providing water to ecosystems and human communities. But like any natural resource, they are susceptible to degradation from a wide variety of factors from damming and local pollution to climate change. 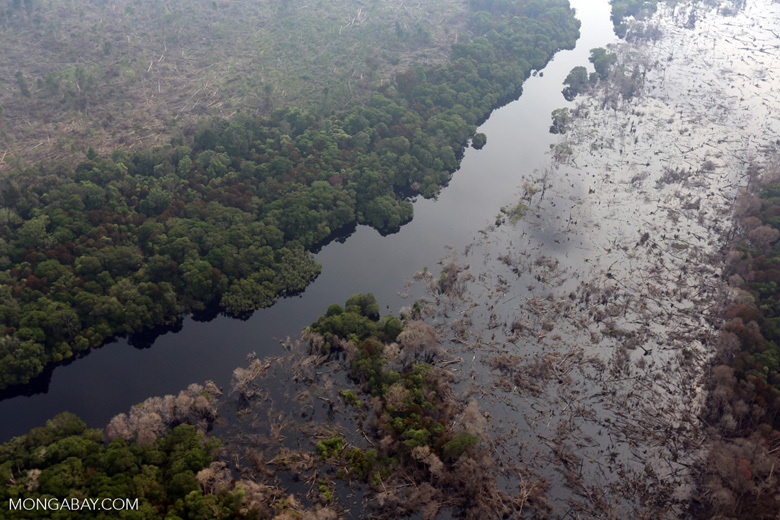 A new analysis released this week takes a look at a specific source of watershed destruction: deforestation. It finds that the world’s watersheds lost an average of 6 percent of their tree cover over 14 years – with some particularly affected areas losing up to 22 percent. This, the analysts write, can have detrimental effects on water quality and flow, endangering water security for the global populace. Watersheds are areas of land that slope inwards and funnel water sources together. Some – like the Mississippi drainage in the U.S., for instance – are large, comprising millions of square kilometers, while others can be quite small. While forests themselves are mostly land-based (mangroves are an exception), they form an important component of watersheds. Their canopies release excess water via a process called evapotranspiration and shelter the ground from the eroding effects of rainfall; their roots bind soil, further helping reduce erosion, as well as filtering groundwater and recharging aquifers. If a river loses its surrounding forest, its banks have a much higher chance of eroding, sullying its water and making its channel shallower. This, in turn, could make the water warmer and lose some of its oxygen, a change that could spell doom for species that evolved over millennia to live in once-cold, clear streams. For human communities, watershed degradation may mean reduced water quality and quantity as rivers fill with sediment and runoff pollutants, and their tributaries are stopped up by erosion. Or it may bring about the opposite, intensifying flooding if there are fewer trees to sop up excess water in areas with high precipitation. The datasets are publicly available on WRI’s Global Forest Watch online monitoring platform. This tree cover loss, they write, has led to increased rates of flooding, landslides, pollution, and fires on the island. Neighboring Malaysia has also been experiencing a spate of deforestation-linked devastation in recent years. In late 2014, severe flooding led to the deaths of more than 20 people and the evacuation of 200,000 in the western part of the country. In the Philippines, high rates of erosion have been blamed for massive, deadly landslides. 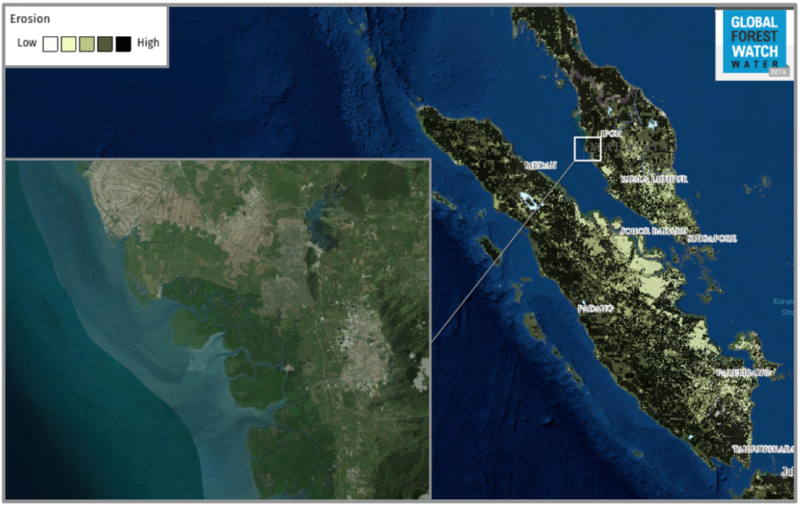 The analysis found very high erosion rates for parts of Malaysia and Sumatra. Many of these areas correlate to conversion for agriculture – like the area shown in the inset, where cleared land borders a mangrove swamp. Sedimentation, which can come from erosion, has been implicated as a major driver of mangrove decline. Of course, watersheds haven’t just been degraded over the past 15 years; land use changes have been occurring for far longer. In their analysis, the WRI team showcases the watershed of Krishna, India, where historical deforestation has left just 3 percent of its forest remains today. They write that the area routinely experiences droughts and floods, and its water sources have high levels of pollution. Sediment from erosion also appears to be choking off sources to the region’s reservoirs. Restoration can repair damage to deforested watersheds, and the analysts write that more restoration effort could be used to fix degraded areas. Planting vegetation – especially species with large rootstock – can help stop riverbank erosion and stem pollution runoff from adjacent agricultural areas. 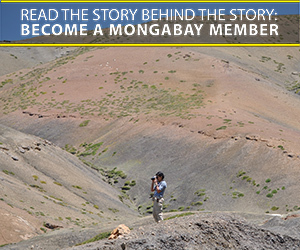 Disclaimer: Mongabay has a funding partnership with the World Resources Institute (WRI). However, WRI has no editorial input on Mongabay content.